We congratulate Albert Hess to his first Champion Title – at the end – he had almost 100 points more as our defending Champion from last Year, Heinz Roth. The biggest trophy this Year went to our long term member, Lisa Siegenthaler – and she promised to train much more this Year to get ready for next Year. Say Congratulations to our New Jass Champion 2018 Heinz Roth. It’s needless to say, but he managed now to take the trophy home for the second Year in a row. honored taking the last place trophy from our friends far far away. We are sending greetings as well to our friends “The Trinklers”. Thanks to Marco Deillon and Markus Bersinger and their helpers, for organizing this annual event. If you like to train your Jass abilities – there is a great application in the google app store swissjass which will help you getting better. There are some more pictures in the Gallery 2018. Besten Dank für Eure Teilnahme an unserem Annual Meeting. Thank you so much for your attending our Annual Meeting. Wir hoffen ihr habt den Samstag Abend genossen und seid gut heimgekommen. We hope you enjoyed Saturday evening and arrived home safely. Wir bedanken uns bei Chef Mario für das köstliche Essen. Chef Mario, we thank you for the delicious meal. Wir bedanken uns bei Christian für seine Preisideen und originelle Verpackung. Christian, thank you for your great price choices and inventive wrapping. Wir bedanken uns auch bei Reto für das Fotografieren. Reto, thank you for taken pictures for this event. Wir gratulieren Markus Bersinger für sein erstes vollendetes Jahr als President der Swiss Society of Charlotte. Congratulation to Markus Bersinger for his first year as President of the Swiss Society of Charlotte. Menu and will be manning the carving station himself Wine will be served with Dinner. The board is looking forward to seeing many of you there. Manuela Corbetti, our Treasurer, will be happy to register you. The Board is looking forward to welcoming and catching up with You soon! Please come and join us for the annual 1st of August Celebration! 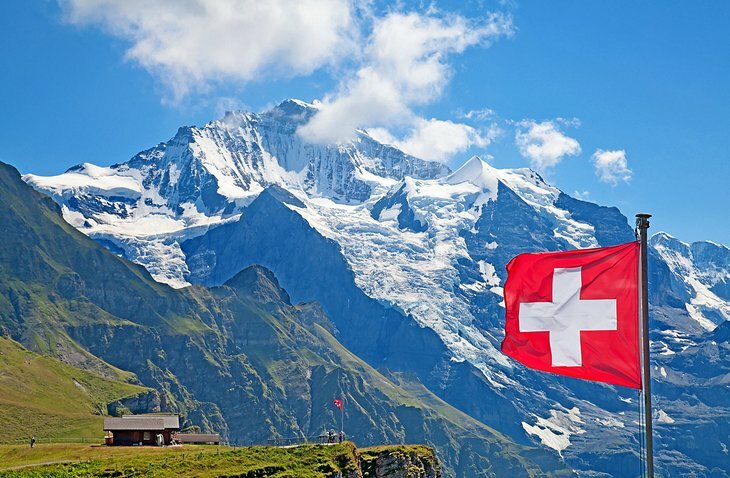 We’re inviting you to join us for the annual celebration of the Swiss National Day!! As always, this family event at Lake Wylie is lots of fun for everyone, with swimming (lifeguard on duty) and games for the children. We’ll stay true to our traditions, grilling Bratwurst, Cervelat, Fleischkäse and we’ll have potato salad on hand as a traditional side dish. Soft-drinks, Water, Beer and Dessert will be supplied by the club. As tradition has it, please bring your favorite salad or dessert to be enjoyed by all. Manuela, Manuela@SwissCharlotte.com, will appreciate that you let her know what you intend to bring when you register. If beer is not your preferred beverage, please feel free to bring your own Wine, Schnapps or anything else. A lampion parade for children or anyone who’d like to participate will take place after sunset and hopefully we’ll be able to have a small bonfire as well. SWISS SOCIETY OF CHARLOTTE, INC. Registration: Please RSVP no later than Thursday, July 28th . Please mail your registration form and check to the address shown below, or you may pay at the event. The organizers appreciate and thank you for your timely response. When registering please provide your email address, so we have your latest information for our records, thank you! 5012 Nighthawk Drive; Fort Mill, SC 29707, thank you!